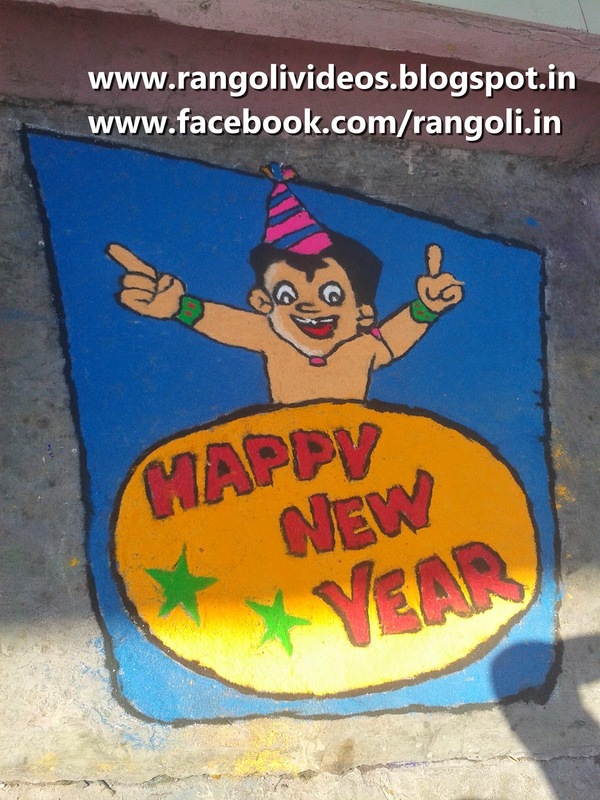 we wish all the rangoli art followers a very happy new year 2014. We present you a rangoli on a new year theme. we are committed to bring you best rangoli designs from various places in years ahead through our blog.